Federal regulators are considering suing Navient Corp., the nation’s largest student loan company, for allegedly cheating borrowers, the company said Monday. The Consumer Financial Protection Bureau, which has been investigating the company for nearly two years, sent Navient a letter on Aug. 19 telling its executives that the agency’s enforcement staff had found enough evidence to indicate the company violated consumer protection laws, Navient disclosed Monday in a filing with the Securities and Exchange Commission. The CFPB also told Navient that the agency’s senior officials would now consider whether to sue the company in court. The agency sent similar letters to for-profit college chains Corinthian Colleges Inc. and ITT Educational Services before it later sued them. Representatives for the CFPB didn’t respond to requests for comment. Concerns are mounting among policymakers that the nation’s growing $1.3 trillion student loan tab risks slowing economic growth, as millions of households either struggle to make payments or cut back in other ways. And regulators and experts worry that shoddy loan servicing may be partly responsible, as many borrowers complain they’re routinely mistreated and forced to stump up larger monthly payments than required. Navient, which processes more student loan payments than any firm in the country, has been under investigation for at least two years by several federal and state authorities for allegedly overcharging borrowers and otherwise mistreating them in violation of the law. The Department of Justice accused the company in 2014 of intentionally cheating active-duty troops on their student loans for nearly a decade. The CFPB also has been investigating the company for numerous allegedly dodgy practices, such as the way its debt-collection unit treats distressed debtors and how its loan-servicing operation interacts with borrowers. A group of state attorneys general led by Washington and Illinois has been probing the company for more than a year. A feared regulator on Wall Street, the New York Department of Financial Services, also has launched an investigation. Navient executives told investors in the Monday filing that the company couldn’t assure them that a CFPB lawsuit wouldn’t significantly hurt the company, nor could it share an estimate of potential losses as a result of a CFPB-ordered penalty or lawsuit. Investors have hammered Navient’s stock, sending its shares plummeting 39.6 percent since the start of the year. By comparison, one of its competitors, Nelnet Inc., is down 19.5 percent. The Standard & Poor’s 500 Index, the U.S. equities benchmark, has fallen 8 percent. “The company is committed to resolving any potential concerns,” Navient said. It added that it planned to challenge the CFPB’s preliminary findings and persuade the agency to not go after the company. In its Monday filing, Navient said the CFPB’s potential legal action stems from its late-fee practices and what it described as “other matters.” Patricia Christel, a company spokeswoman, didn’t respond to a request for comment. Last year in May, Navient and its predecessor, Sallie Mae, agreed to pay $36.6 million in fines and restitution after the Federal Deposit Insurance Corp. alleged it processed payments in a way that maximized late fees while the company also misled borrowers about how they could avoid late fees. Around the time of the settlement, the company disclosed that it would “voluntarily” pay back other aggrieved borrowers about $42 million for its late-fee practices. That refund process — which the CFPB is expected to address — is now mostly complete, the company said in August in its most recent quarterly report. 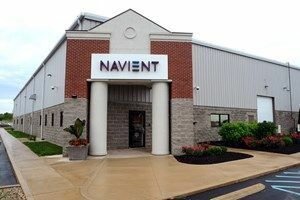 For more than a year, Navient consistently has denied wrongdoing, though its chief executive, Jack Remondi, apologized last year for how it treated some troops. 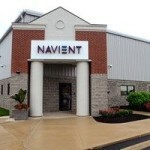 In its Monday filing, the company said it “continues to believe that its acts and practices relating to student loans are lawful and meet industry standards.” Navient also said that some of its practices were in line with rules set by its other regulators. The company has a lucrative federal contract to collect payments on government-owned loans with the Department of Education. In May, the department formally cleared the company of wrongdoing after what some Senate Democrats reckon was a dubious investigation into how Navient treated active-duty troops with federal student loans. 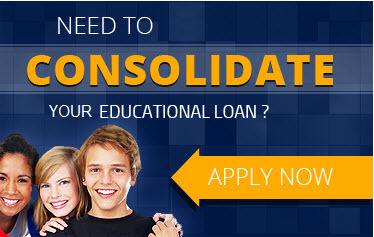 But the company continues to receive newly originated loans from the Education Department, boosting its overall profit. Navient hasn’t disclosed any pending Education Department investigations into its practices. 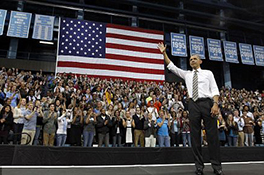 Navient’s predecessor company, Sallie Mae, ran afoul of government authorities numerous times before it split itself last year into Navient and Sallie Mae Bank. State prosecutors, banking regulators and Education Department auditors all have at different times alleged that the company violated the law.